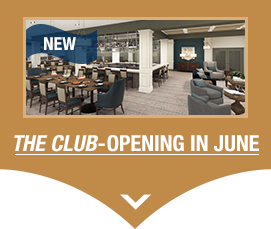 Now you can lead a Sterling Life in West Cobb. Sterling Estates of West Cobb, is a unique Retirement Community nestled in a neighborhood setting on 28 beautifully landscaped acres. We offer active Independent Living through distinctive, masterfully built cottage homes and apartment residences with the finest services and amenities. When needed, we offer Assisted Living services in our Landmark Residence which has spacious apartments for both independent residents and those that need help with activities of daily living. For those among us that need memory care services we have our new stand alone Memory Care Residence, The Grande at Sterling Estates. We're a neighborhood community that’s owned and managed locally by a team that has been addressing the residential and health care needs of seniors for over 25 years. Hear and see how one of our partners describes what a Sterling Life is all about and explains the Sterling Difference. A Sterling Life is about family. We’ve built this senior living community to be worthy of our loved ones and yours. We want to provide them with the best services and the best care and enable them to live the fullest lives. Whether you’re considering Independent or Assisted Living retirement communities, living here will make for a carefree and fulfilling life. A Sterling Life is about hope. Hope is the common thread that, throughout the ages, has inspired people to pursue the best qualities of life. Hope is the one special feeling that everyone holds for their families. That’s what makes a life Sterling. The more you look at retirement communities, the more you’ll realize how right a Sterling Life is. A Sterling Life is stylish and tasteful. We’ve designed beautiful residential buildings and a peerlessly landscaped, 28-acre campus. The classic architectural design and the carefully chosen interior furniture and finishes are all a part of what makes living here a daily pleasure. If you enjoy the good things that life has to offer, you’re going to enjoy living at Sterling Estates of West Cobb. A Sterling Life is about caring. At Sterling Estates, we care about each other. There’s nothing more important to us than creating a warm, caring environment on our West Cobb campus. We have a staff that goes out of its way to help our residents and we’re sure our residents go out of their way to help each other. This is a way of life that you’ll appreciate being a part of. Some of your happiest times in Marietta, GA, are in front of you. We opened in August of 2016 and now, as we are finishing our final phases you can see our many Cottages, Garden Homes and Apartment Suites for both Independent Living and Assisted Living. More importantly, you can come and meet our many happy residents (over 200 now), who will tell you how satisfied they are with the decision they made to come live at Sterling Estates of West Cobb. Whether you are looking for Independent Living or need assistance we have the solution for you. 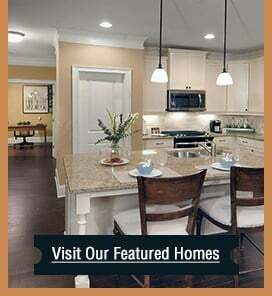 Come see for yourself why so many have already chosen to call Sterling Estates home. It will be easy to see the majesty of beautiful residences located on expansive grounds, just as it’ll be easy to sense the tremendous value and opportunity our Marietta, GA, community provides. Click here to contact us online or call 770-255-7000 to arrange for an appointment and discover all that a Sterling Life has to offer.